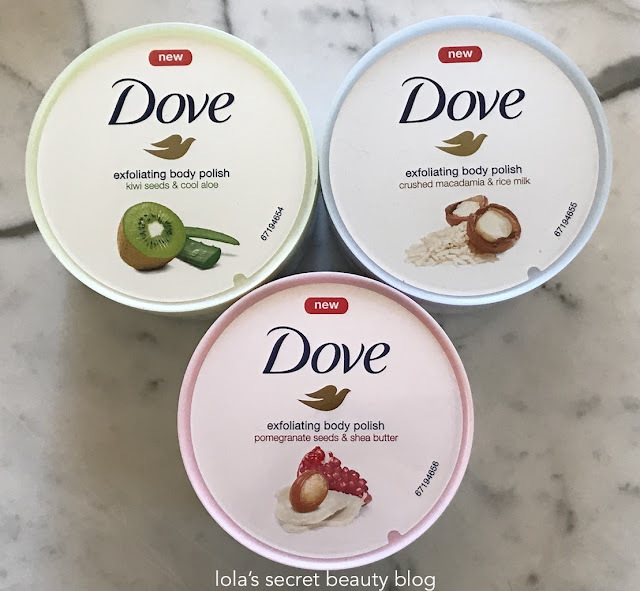 If you are seeking an affordable body scrub to reveal soft, smooth and ready-for-summer skin, then the new range of delectably scented, and highly effective, Dove Exfoliating Body Polishes are absolute must-haves. 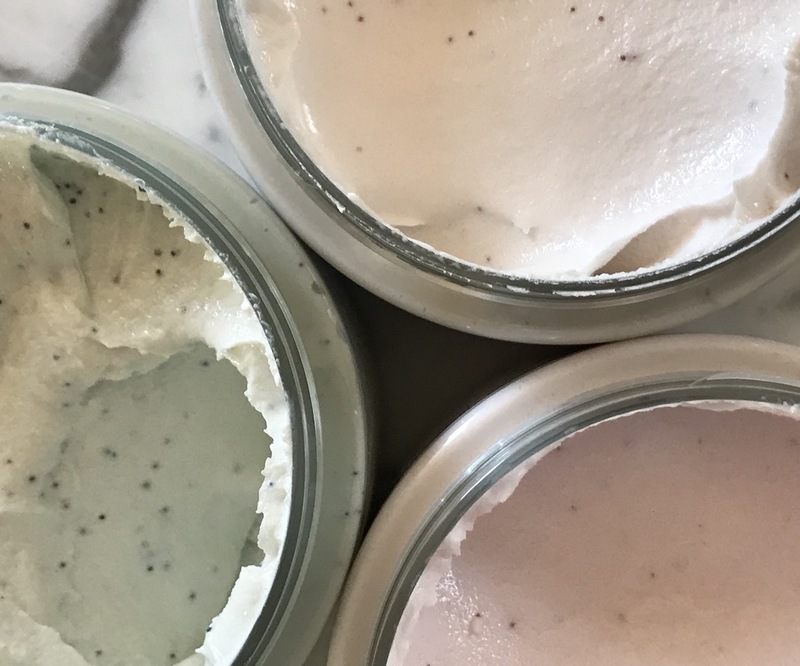 Available in three scents, these body scrubs gently and effectively remove dead skin cells to reveal soft, smooth, supple and moisturized skin. Each of the polishes boast a rich and creamy whipped ultra-luxe texture that is filled with uniform exfoliating particles suspended in a lightly lathering moisturizing base. They rinse clean, leave behind no oily residue, and they neither dry out, nor irritate the skin. I found no difference in the efficacy in the three scents, and feel that each one works in precisely the same manner, and therefore selecting one can be based solely upon your scent preference. That said, they are so affordable that you can purchase all of them without guilt. Dove Exfoliating Body Polish is the first body scrub from Dove that exfoliates and nourishes skin to help streamline your skincare routine. Formulated with the brand’s signature ¼ moisturizing cream, Dove Exfoliating Body Polish works to remove dull, dry skin while providing the nourishment skin needs. Follow with a gentle cleanser, such as Dove Body Wash or Beauty Bar. Dove Exfoliating Body Polish Kiwi Seeds and Cool Aloe ($5.89-$7.49 for 10.5 oz. from Amazon, Walmart, Walgreens & Target): Described as a "burst of kiwi" fragrance, this sweet and fruity aroma sits close to the skin, but does not linger very long. What does beautiful skin look like to you? Smooth? Silky? Soft? Whatever your answer, there’s a product that can give you all three benefits in just one step. Dove Exfoliating Body Polish Kiwi Seeds & Cool Aloe is an in-shower scrub that goes beyond regular exfoliation. With a rich, whipped texture, our body polish gives you a beautifully creamy coverage. Enriched with our classic ¼ moisturizing cream, it deeply nourishes and cares for your skin as it exfoliates, buffing away dull, dry skin. Restore your skin’s natural nutrients as you massage the polish in, and experience a burst of fresh kiwi fragrance that lifts your senses, leaving you refreshed and soothed. When you’re looking for beautiful skin, there’s not much more you need than that. Ingredients: Water (Aqua), Glycerin, Hydrated Silica, Sodium Lauroyl Isethionate, Stearic Acid, Sodium Stearate, Fragrance (Parfum), Actinidia Chinensis (Kiwi) Seed, Aloe Barbadensis Leaf Juice, Cocamidopropyl Betaine, Lauric Acid, Cetearyl Alcohol, Sodium Tallowate, Synthetic Wax, Sodium Isethionate, Phenoxyethanol, Hydroxyacetophenone, Sodium Cocoate, Tetrasodium EDTA, Tetrasodium Etidronate, Sodium Laureth Sulfate, Yellow 5 (CI 19140), Blue 1 (CI 42090), Red 33 (CI 17200), Iron Oxides (CI 77499), Titanium Dioxide (CI 77492). Dove Exfoliating Body Polish Crushed Macadamia & Rice Milk ($5.89-$7.49 for 10.5 oz. from Amazon, Walmart, Walgreens & Target): Described as a "burst of velvety macadamia and rice milk" fragrance, this warm, nutty and creamy milky scent is subtle and comforting. Scrubbing, sloughing, buffing: renewing skin doesn’t have to be as rough as it sometimes sounds. Polish your way to smooth, soft skin with something different – Dove Exfoliating Body Polish Crushed Macadamia & Rice Milk. Created with ¼ moisturizing cream, this nourishing body polish cares for your skin as it exfoliates. Removing dull, dry skin from the surface, it leaves your skin feeling silky and smooth. Restore your skin’s nutrients and indulge in this body exfoliator’s rich, whipped texture that gives you a beautifully creamy coverage in the shower. And enjoy the velvety fragrance of crushed macadamia and rice milk as it fills your shower. Say goodbye to dull, dry skin – and hello to a rich, relaxing fragrance and skin you can’t help but touch. Beautiful results, effortlessly. Ingredients: Water (Aqua), Glycerin, Hydrated Silica, Sodium Lauroyl Isethionate, Stearic Acid, Sodium Stearate, Fragrance (Parfum), Macadamia Ternifolia Seed Oil, Oryza Sativa (Rice) Germ Oil, Oryza Sativa (Rice) Bran Extract, Cocamidopropyl Betaine, Caprylic/Capric Triglyceride, Lauric Acid, Cetearyl Alcohol, Sodium Tallowate, Synthetic Wax, Sodium Isethionate, Phenoxyethanol, Hydroxyacetophenone, Sodium Cocoate, Tetrasodium EDTA, Tetrasodium Etidronate, Nonfat Dry Milk, Sodium Laureth Sulfate, Iron Oxides (CI 77492), Iron Oxides (CI 77499), Iron Oxides (CI 77491), Titanium Dioxide (CI 77891). Dove Exfoliating Body Polish in Pomegranate Seeds & Shea Butter ($5.89-$7.49 for 10.5 oz. from Amazon, Walmart, Walgreens & Target): Described as a "burst of fruity pomegranate" fragrance, this vibrant fruity scent smells like a refreshing summer breeze infused with fruit ad flowers. When you’re figuring out how to get smooth skin, there’s one very important step not to miss out: exfoliation. Dull, dry skin can hide your skin’s natural radiance, but with Dove Exfoliating Body Polish Pomegranate Seeds & Shea Butter, you can give your skin the revitalization you want, with all the care it needs. Made with ¼ moisturizing cream, this body polishing scrub restores skin’s nutrients, deeply nourishing as it exfoliates. Buffing away dull, dry skin on the surface, it leaves your skin feeling silky smooth. And with a rich, whipped texture, this Dove body polish gives you beautifully creamy coverage, releasing the sweet scent of pomegranate as you massage it in. Get all the effectiveness you’d look for in a body scrub, but with the nourishment your skin needs to stay its beautiful, radiant best. Ingredients: Water (Aqua), Glycerin, Hydrated Silica, Sodium Lauroyl Isethionate, Stearic Acid, Sodium Stearate, Fragrance (Parfum), Punica Granatum Seed Powder, Butyrospermum Parkii (Shea) Butter, Cocamidopropyl Betaine, Lauric Acid, Cetearyl Alcohol, Microcrystalline Wax, Sodium Tallowate, Sodium Isethionate, Phenoxyethanol, Hydroxyacetophenone, Sodium Cocoate, Tetrasodium EDTA, Tetrasodium Etidronate, Sodium Laureth Sulfate, Iron Oxides (CI 77491), Red 33 (CI 17200), Titanium Dioxide (CI 77492). Overall Assessment: I am so pleased with the new Dove Exfoliating Body Polishes that I will definitely pick up more as soon as I finish these. I love a good body scrub/polish, especially when they have such nice scents like these. I will definitely pick one up soon. 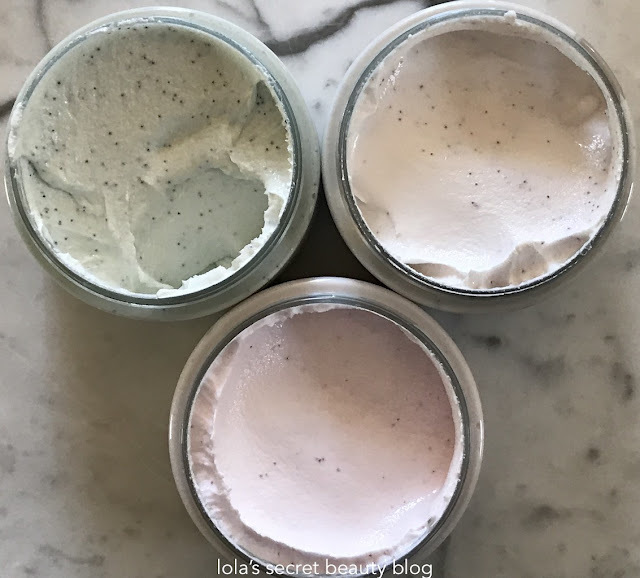 I love a good body scrubs that smell great as well, and these definitely have you covered in that regard! I love a good body scrub. I thought about these but I wasn't sure how long the fragrance would last. I prefer light but not lingering scents. They look like they'd be great for skin. They are definitely worth trying. The Kiwi/Aloe might be a good one for you to try since the scent is mild and it fades quickly! Hi Cristy, Thank you for stopping by! I definitely think that these are worth trying! I am quite happy with them! These sound fantastic, especially the one with pomegranate seeds! They really are quite nice, and they are affordable too! Oh wow, I must try these, I'm addicted to body scrubs. They are really fantastic, Cindy! I highly recommend trying them! I love body scrubs and use them regularly, and these definitely make the cut (and I will purchase more of them when I run out).